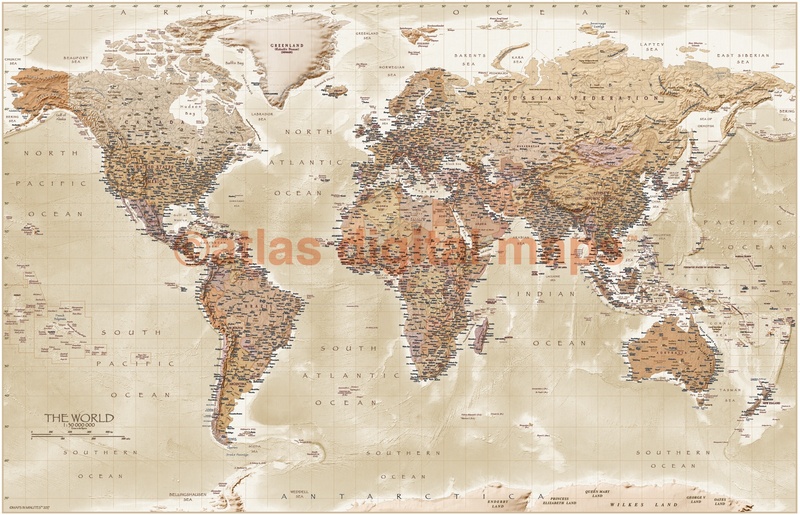 A unique and classic fine quality Antique-style World Physical & Political Canvas Map our customers love! 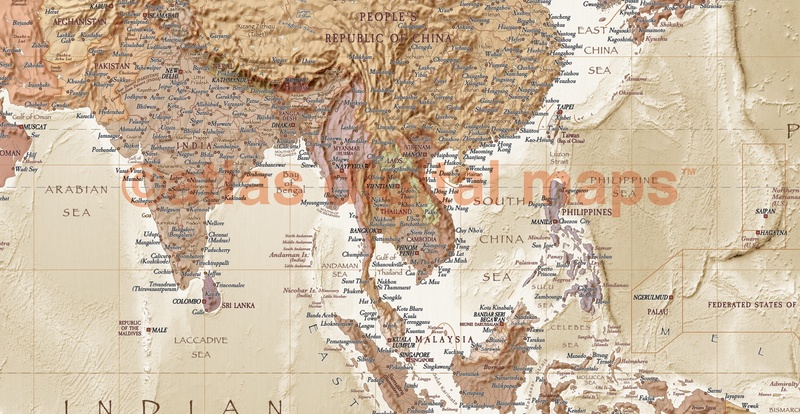 This original world map in subtle warm sand and neutral shades is a talented & skilled creative work of art using antique stylised type. 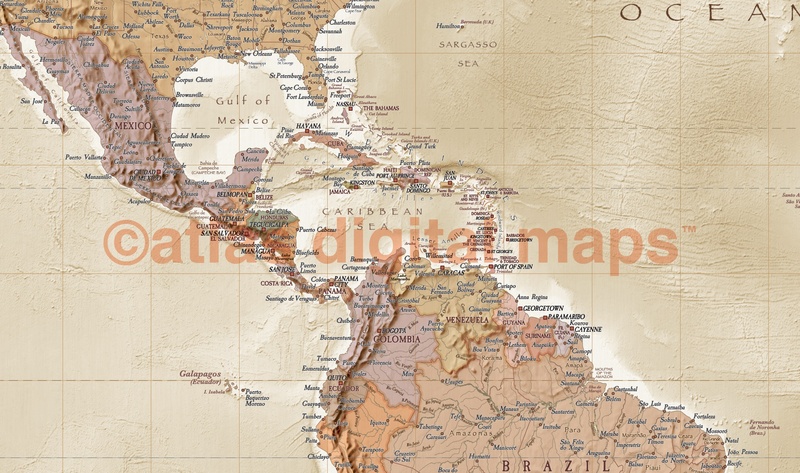 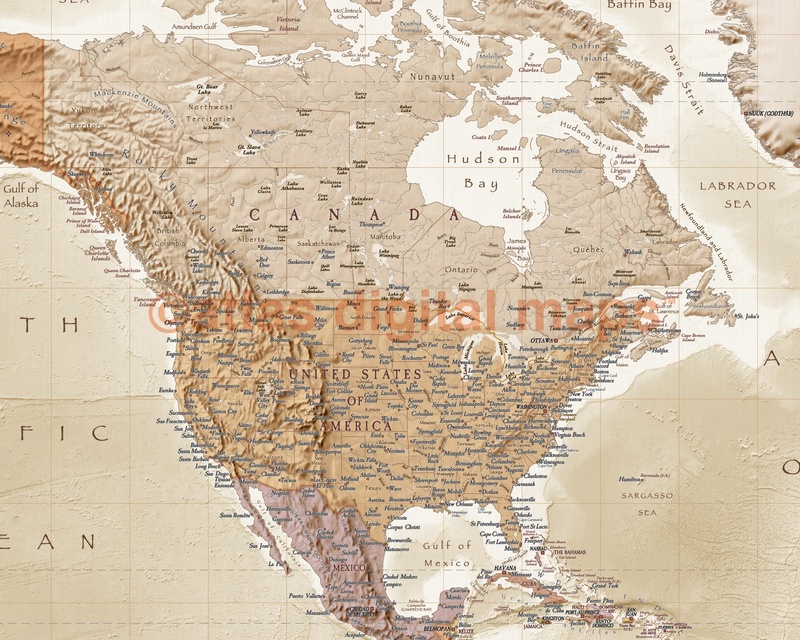 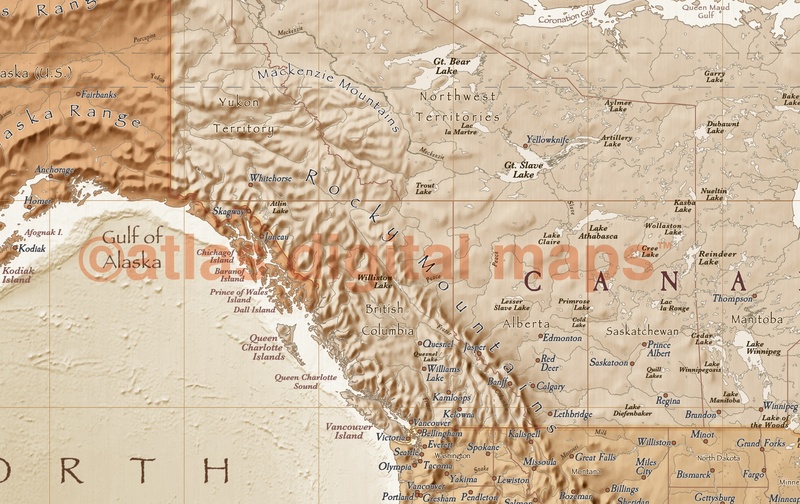 Up-to-date cartographic detail includes country names & boundaries, capital cities & major settlements, internal region borders and names (of the United States, Canada, Brazil, Russia, India, China and Australia), physical land feature names, sea names, island names, rivers & lakes. 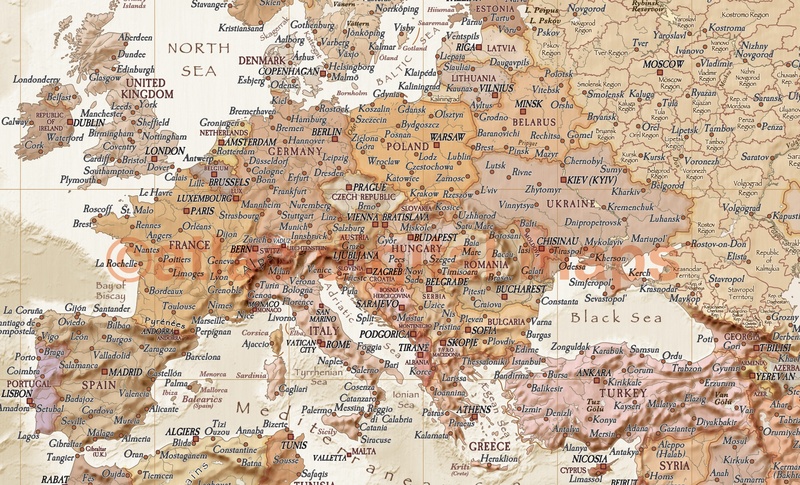 An excellent reference map with great style & typography plus stunning neutral land and sand coloured ocean floor relief.